Slot machines have always attracted a lot of casino fans at both land-based and online casinos. One reason for this is that they are very fast, simple and easy to play. There is no special strategy you can use to learn how to play them; all you need to do is to place a bet and make the selection of the number of reels and pay-lines you wish to play. The Spin button will then take care of the rest. Another reason why they are so popular is because slots are the only casino games where you can make one small bet and change your life for good. Because they are based on luck, it is possible, if you are lucky enough, to hit the live-changing progressive jackpot slots that will send you on easy street. Additionally, there are other types of slots that offer pretty good payouts. Did you know that the biggest online jackpot won to date was when a Finnish man in his 40's bet 25 cents to win a juicy €17,861,800 (around $24 million) jackpot. 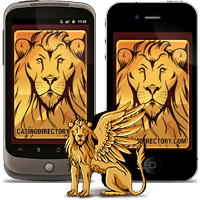 This occurred on January 20, 2013 at PAF online casino. Our casino experts are well-familiarized with how slots work and they have been playing these casino games since their inception. They are also well-specialized in the field of online casinos and offer you a list of the best online casinos where you can play thrilling and entertaining slots. 100% up to €1000 18+. T&C's Apply. Most people believe that with good slots strategy they can win at real money slots online. The truth is there is no actual strategy that can help you win at these casino games of chance. Slots use random number generator software that randomly decides what the outcome of a spin would be and it cannot be affected in any way. Always bet at a level you can afford. Set win and loss limits. Aim toward high level mid range payoffs. Slot machine games have become the most popular in many an online casino and these basically come in all shapes and sizes. From old style three-reel slots to five-reel video slots to progressive jackpots, you name it, they've got it. To make the process easier for our slots players, we have categorized the different slot types available into the main variations that exist today. You'll find the most common variations of slot machines below. Classic slot machines most resemble those offered in brick and mortar casinos, which is why they are often referred to as Vegas-style slots. These games usually feature three reels and a single payline, offering a simple yet entertaining experience and giving players a chance to land massive payouts on small wagers. Fruit machines are in many ways similar to classic slot machines, with the main difference being that these usually house a standard set of game symbols that include oranges, lemons, watermelons, lucky sevens and Liberty Bell, among other icons. And while a player wagers between one and three coins, they can win pretty impressive payouts. Top online casinos nowadays offer an excellent selection of video slots from different software developers and these games have become extremely popular among casino gamers. That is hardly surprising considering that latest video slots are packed with bonus games, free spins rounds and numerous other perks and benefits designed to seriously improve player's line wins. 3D slots are a step up from video slot games, with its main feature being the cinematic graphics and stunning animations that greatly enhance the overall experience. 3D slots are also characterized by Wild and Scatter symbols and a plethora of special features, but it is the excellent game play that will keep you coming back for more. Progressive slots are all slot games linked to one or more progressive jackpots, and these particular games have been designed to award life-changing payouts. The jackpot amounts increase with every bet placed on the game in question, and while some are awarded at random, others are triggered by a set combination of game symbols. High Limit Slots have been designed to cater for high rollers rather than casual gamers since they support very high bet values, ranging from a couple of hundred to several thousand dollars per single spin of the reels. As a result these kinds of video slots offer a very good potential for hefty wins even without counting the progressive jackpots. Developed by Rival Gaming, i-Slots or interactive video slots give players more control over the storyline and payouts and as such offer even more entertainment than conventional slot machines. The story unfolds depending on the player's actions and keeps getting more and more exciting with every new spin of the reels. As the name would suggest, penny slots refer to those slot machines that allow $0.01 as the minimum coin denomination and these are becoming very popular among online casino gamers. Giving players a chance to win nice payouts without risking too much money, penny slots are just perfect for casual gamers and those with a small bankrolls. Most major software companies have already developed premium mobile platforms where their top video slots have been customized for an excellent gaming experience on the move. As a result, some of these games look even better when they are enjoyed on the latest smartphone and tablet devices, with those stunning special features lighting up your mobile screens. What is the difference between "video slots" and regular slots? Video slots have 5 reels and multiple pay-lines. They are more advanced than the regular, classic slots and come with features like wilds, scatters, free spins etc. The regular slots have 3 reels and up to 8 pay-lines and they don’t come with many features. A pay-line in a slot game is the single row where winning combinations of symbols are completed. The main pay-line is the center row of reels and it runs left to right. Other pay-lines may run low, high, zigzag or diagonal. The slots that are simple to play have better odds and they usually pay higher than the fancy slots with many special features. Also, the higher the denomination the better the odds so it is better to play 1 coin per pay-line on 5 cent slot than 5 coins per pay-line on a 1 cent slot. Do you need to place the max bets for progressive games? To activate the jackpot of most progressive slots players need to place the maximum bet amount and trigger all pay-lines. You don’t always have to bet the maximum amount, but if you wish to play progressives you should make the maximum bet so you can increase your chances of winning. 3D slots are the newest types of slots that are made of cutting-edge technology. These slots have 3D graphics are offer pretty entertaining gaming experience. The symbols of these slots are usually animated and there is a character standing next to the reels cheering every time you hit a nice payout. Find more detailed info on 3D slots here. Read our reviews of the latest slot games from top software developers to learn more about game play, payouts in the main game, special features and more to select the ones that best suit your playing style. Most of these online slot games are available in Free-Play mode too.